MIND OVER MATTER TV documentary series about an enigmatic Cold War scientist. Executive Producer, Film 45, 2019. SPOILED Interactive motion graphic novel about the oil industry in Africa in collaboration with Opertoon and Vigilism. Producer and writer. Shortlisted by Tribeca New Media, 2015. Premiered at The Big Sky Documentary Film Festival, 2016. ARTISODES Twenty episode documentary shorts series profiling contemporary artists. 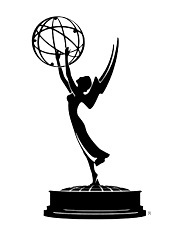 Creator, producer, director and editor, Emmy Award, Arts and Entertainment, PBS-NM 2009. AMERICA DREAMING Pilot episode about contemporary visions of the American Dream. Creator, producer, director and editor, PBS-NM 2009. STRICTLY NEW MEXICAN Pilot episode about New Mexico short stories from the ancient to the eccentric. Creator, producer, director and editor, PBS-NM 2009. THE JOHN DONALD ROBB JUKEBOX OF HISPANO FOLK MUSIC Complimentary interactive website for PBS documentary. Producer and designer. Emmy Award, Advanced Media Interactive, 2009. THE MUSICAL ADVENTURES OF JOHN DONALD ROBB IN NEW MEXICO Biographical documentary about ethnomusicologist. Producer, director and writer, Emmy nominated, PBS-NM 2008. FROM CURANDERA TO CHUPACABRA Biographical documentary about Hispano novelist Rudolfo Anaya. Producer, director, writer and editor, PBS-NM 2007. LA VILLA DE ALBURQUERQUE Historical documentary about the early multi-cultural influences of the founding of New Mexico’s capital. Producer, director, writer and editor, PBS-NM 2006. THE SONG IN YOUR HEAD Travelogue documentary about a young Zulu theatrical groups adventures performing in Holland. Producer, director, camera, writer and editor, Theatre Embassy, 2005. MASTER POSITIVE Documentary short about HIV positive man who makes low-cost, papier-mache coffins in Namibia. Producer, director, writer and editor. Special Jury Award at IDFA and honored at BANFF World Media Festival, 2001. Broadcast UK, Europe and Australia, Steps International 2001. BIG MOUTHS OPEN MINDS Documentary about democracy ten years after Namibia’s independence. Producer, director, writer and editor. The Ford Foundation, 2001. THE POWER STONE A sacred stone of Angola and Namibia’s Kwanyama Kingdom mysteriously disappears for nearly a century until its return after decades of war in southern Africa. Producer, director, writer and editor. Best Documentary, Afrykamera Film Festival, 2011. Originally broadcast TV1 Finland, 1999. LIVING ON THE EDGE Documentary about an indigenous community’s claim for land rights living in a national park in the Namib desert. Producer, director and writer. Namibia’s Land Conference, 1994. Tip Your Coffee Farmer Fundraising campaign held in select US coffee cafes for rural Guatemalan and Honduran coffee farmers affected by devastating fungal plant disease. Produced print and digital design, and short documentary and animation video, 2015. The Coffee Trust Awareness and fundraising campaign about the plight of rural coffee farming families in Guatemala and Honduras. Strategized and produced print, web and digital communication and design, and produced 12 short documentary videos, 2010-15. Theatre Embassy Educational short “Sue Dark Blue” teaching children tolerance in Namibia. Producer, director, camera and editor, 2003. The Ford Foundation Civic education campaign complimenting the documentary Big Mouths, Open Minds. Produced music CD, wrote educational booklet, and strategized nationwide distribution from rural workshops to screening with Namibia’s President and Parliament. The Ford Foundation, 2000-01. UNAIDS Oops Dad’s Home, Home for the Holidays, Get It On, and Funky for You. Producer, director, writer and editor for TV PSA media campaign, 2000. How to Train Your Draft Animal Agricultural training video for rural farmers in Namibia. Producer, director and writer. Agence Française de Développement, 1996. Covering Ground Educational documentary about desertification in Namibia. Producer, director, and writer. The Desert Research Foundation of Namibia, 1995. “The Lyft Hiring Challenge” Producer, director, and editor. Lyft and Udacity Short Promo, 2018. “A Scholarship Success Story” Producer, director, and editor. Udacity Short Promo, 2018. “Start on the Road to a Self Driving Car Degree” Producer, director, and editor. Udacity Short Promo, 2017. “Meet Danny Shapiro of Nvidia” Producer, director, and editor. Udacity Short Promo 2017. “Meet Shai Magzimof of Phantom Auto” Producer, director, and editor. Udacity Short Promo 2017. “Meet Oliver Cameron of Voyage” Producer, director, and editor. Udacity Short Promo 2017. “For A Brighter Tomorrow” Producer, director, and editor. Mark Stone for Assembly Member, TV Advert 2017. “Family Reunion” Producer and director. Family App, TV Advert 2017. “Parks” Producer, director, and editor. Three promo shorts for Ken Burns documentary series Parks, PBS 2009. “Nature” Producer, director, and editor. Three promo shorts for Nature documentary series, PBS 2009. “Coffee Kids in Costa Rica” Producer, director, camera and editor. Coffee Kids Short Promo, 2010.